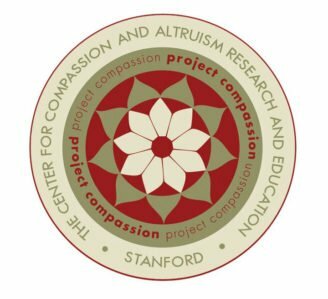 CCT is a multi-week personal and professional development course designed at Stanford University’s Center for Compassion and Altruism Research and Education and taught around the world by Certified Facilitators. The program includes practical tools and exercises designed to enhance your awareness, compassion and resilience. CCT will support you to improve your relationships with friends, family, clients, patients, staff and coworkers. You’ll also have daily homework of one guided meditation per day and informal practices to try as you go about your day. Yes. CCT is for you if you want to increase your awareness and cultivate compassion for yourself and others. CCT students are community leaders, business owners, parents, caregivers, retirees, educators, healthcare professionals, therapists, executives, public servants, CEOs and people from all walks of life. Click here to read students’ comments about CCT. Feel free to contact me if you have questions about whether or not CCT is for you at this time in your life. Initial studies on CCT point to the power of the program. Click here to geek out on CCT research. Everytime I facilitate a CCT class, I learn more and deepen my practice of compassion. It’s an incredible, ever-renewing and endless resource for me, a source of strength, purpose and calm. *CEs for LMTs are issued through the National Certification Board for Therapeutic Massage and Bodywork. American Psychological Association: Spiritual Competency Resource Center (SCRC) is approved by the American Psychological Association to sponsor continuing education for psychologists. Spiritual Competency Resource Center maintains responsibility for its programs and their content. California Board of Behavioral Sciences accepts CE credits for license renewal by LCSWs, MFTs, LPCCs, and LEPs for programs from CE approved sponsors of the American Psychological Association. LCSWs and MFTs from states other than California need to check with their state licensing board for approval. SCRC is approved by the California Board of Registered Nursing (BRN Provider CEP16887) for licensed nurses in California. For questions about these CE accreditations, visit www.spiritualcompetency.com or contact David Lukoff, PhD at ce@spiritualcompetency.com.